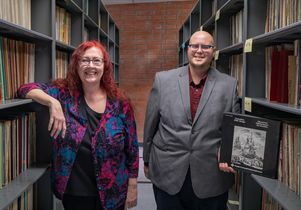 Archivists Maureen Russell and Aaron Bittel in the new high-density shelving room in the UCLA Ethnomusicology Archive. 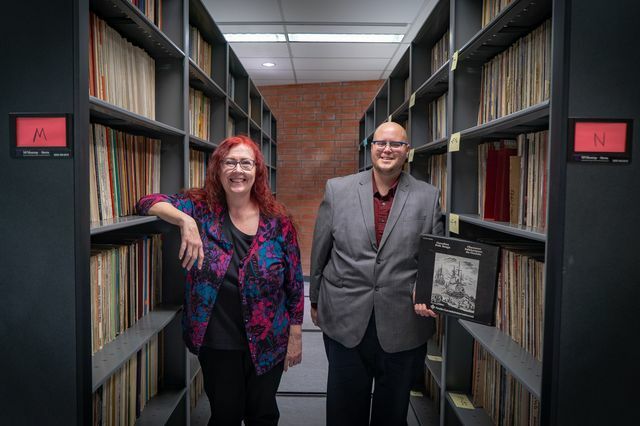 Already home to a world-renowned collection of materials dedicated to the study of musical traditions from around the globe, the UCLA Herb Alpert School of Music is re-opening its Ethnomusicology Archive with a newly expanded space on campus. The renovations and expansion include a new inviting public space, which will provide UCLA students and faculty, international researchers, and members of the public with greater access to the archive's massive collections; a new high-density shelving area; and a new ‘viewing room’ that allows groups of up to 14 people to view or listen to selections from the collections together. Established in 1961, the Ethnomusicology Archive’s collection includes more than 150,000 audio, video, print, and photographic items, documenting all world musical expressions. 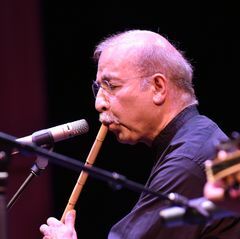 The collection includes unique field recordings, rare commercial recordings, and 60 years of audio and video recordings of the department's famed concerts and lectures by legendary scholars and performers, including Indian musician and “sitar maestro” Ravi Shankar and Grammy-winning mariachi musician Nati Cano. On Friday, Jan. 11, the archive will celebrate its grand re-opening with “Documenting the Sounds of Africa,” a day-long symposium and evening concert. The event, which is free and open to the public, includes an open house to showcase the archive’s renovation. Presented by the World Music Center at UCLA and the UCLA Herb Alpert School of Music Department of Ethnomusicology, the celebration also honors the acclaimed ethnomusicologist, author and Professor Emerita Jacqueline Cogdell DjeDje. 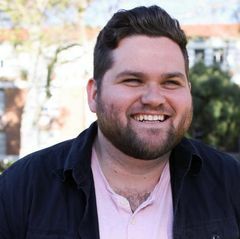 Cogdell DjeDje, a faculty member from 1979-2013, was the director of the UCLA Ethnomusicology Archive from 2000 to 2007, and directed UCLA’s African-American Vocal Ensemble. The concert takes place from 5:30 p.m. to 7 p.m. in the Jan Popper Theater in Schoenberg Hall. 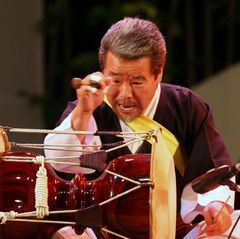 Members of the UCLA West African and Afro-Cuban Ensembles will perform traditional repertoires from Ghana, including fontomfron, atumpan and adowa. The Wondem Band (“wondem” means “brother” in Amharic) will perform an East African-influenced mix of Ethiopian jazz, Sudanese soul, and traditional secular music from Somalia and Eritrea.